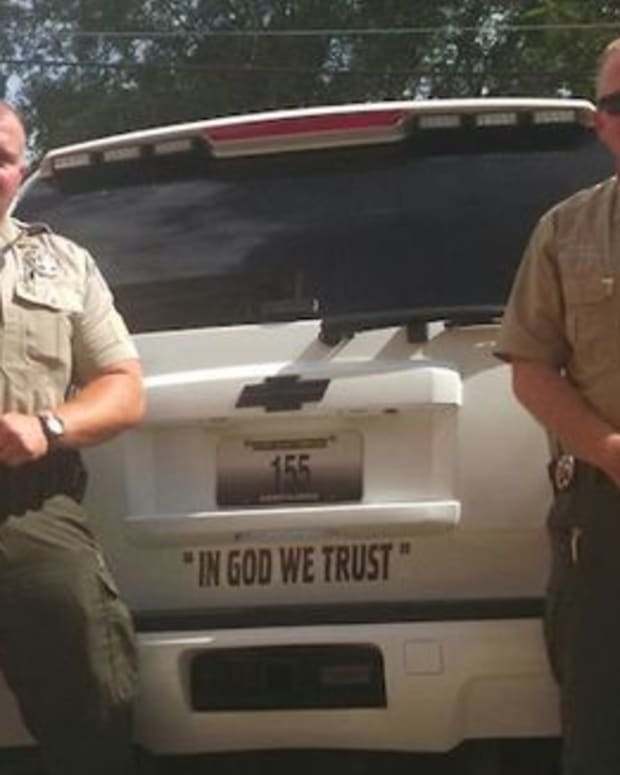 An Arkansas law enforcement agency has adopted new “In God We Trust” decals for its vehicles. 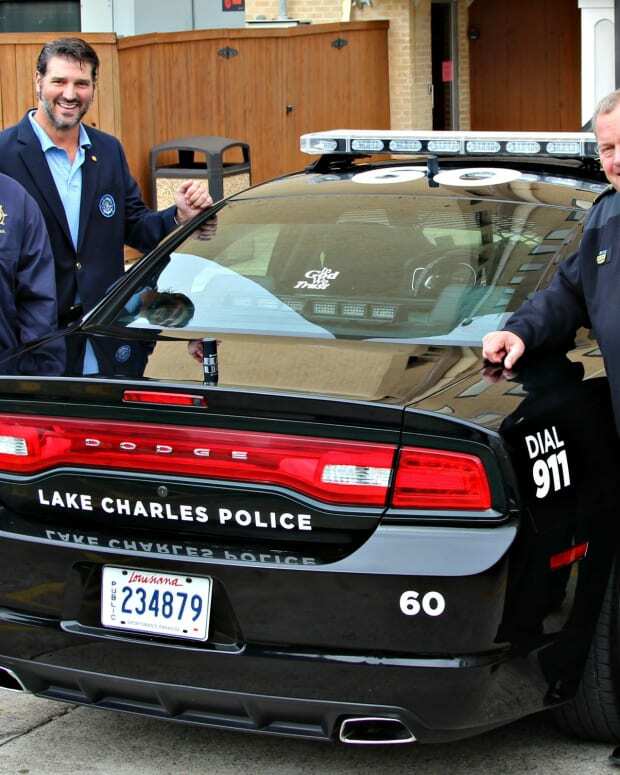 It is the sixth agency in the state to emblazon the controversial phrase on vehicles in 2015. 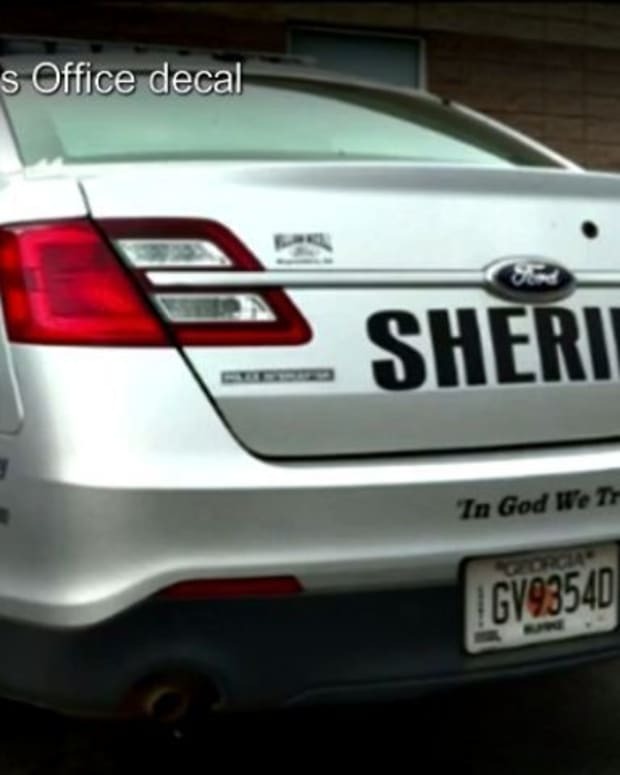 Randolph County Sheriff Gary Tribble explained that locals citizens donated the decals to his department. “All of my personnel support it and said they were proud to have it on their patrol unit,” Tribble told KAIT. 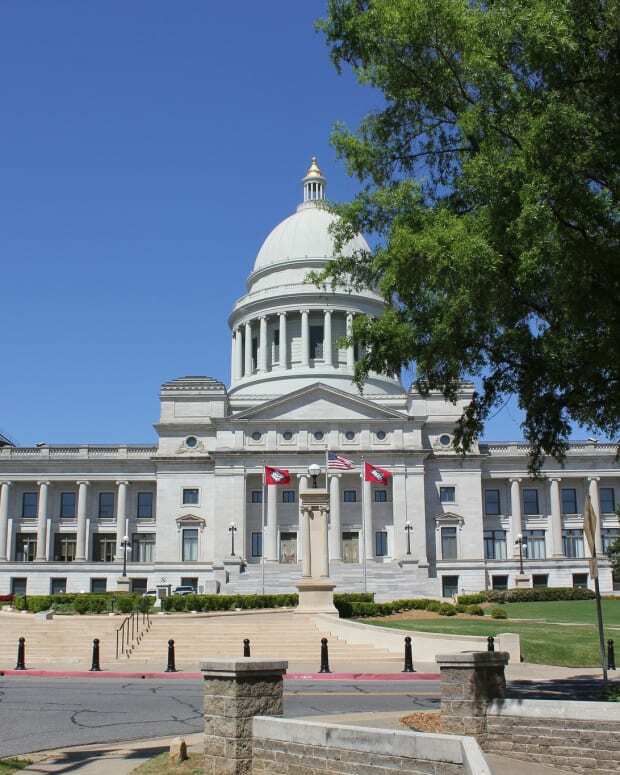 The sheriff has pointed to the phrase on U.S. currency to justify using the phrase on government property. 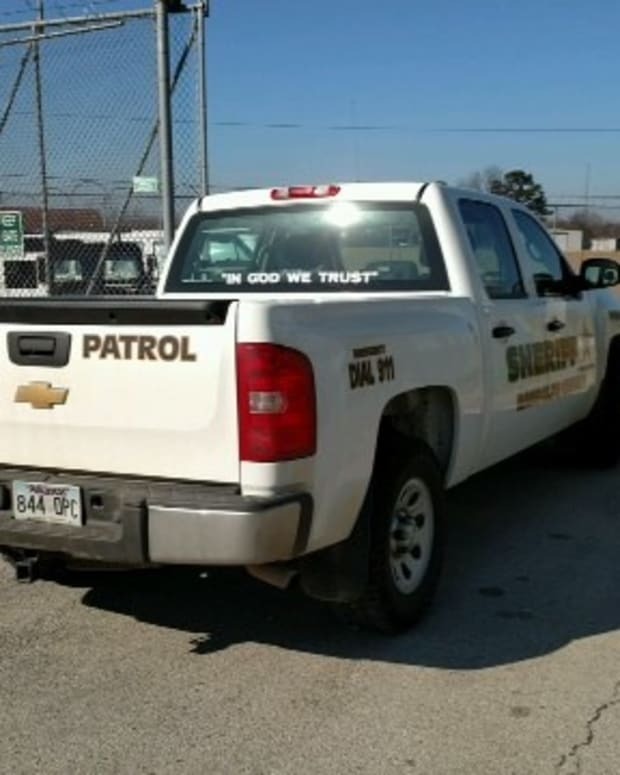 While Arkansas police departments have been adopting “In God We Trust” decals, it has been Texas authorities spearheading the movement, especially in the state’s more religiously conservative regions. 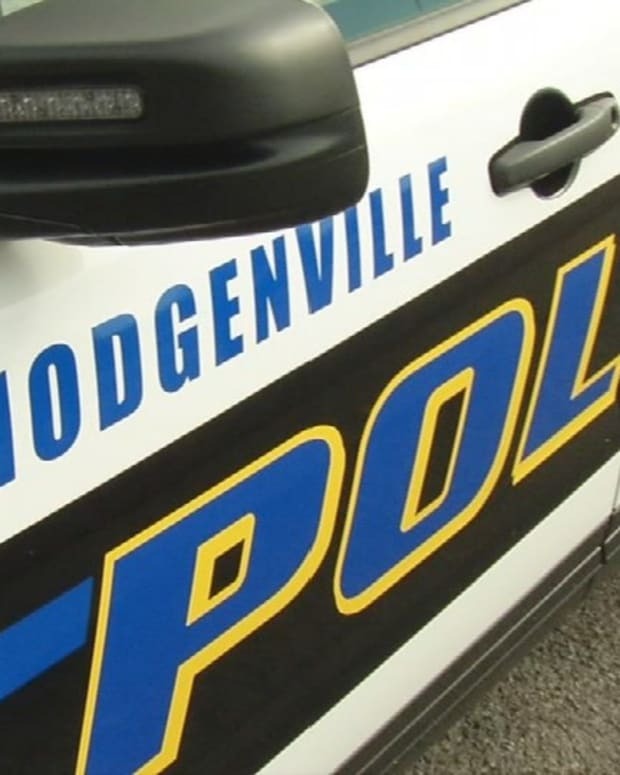 The use of the phrase has intensified since Texas Attorney General Ken Paxton officially declared that his state would not pursue charges against police departments who feature it. 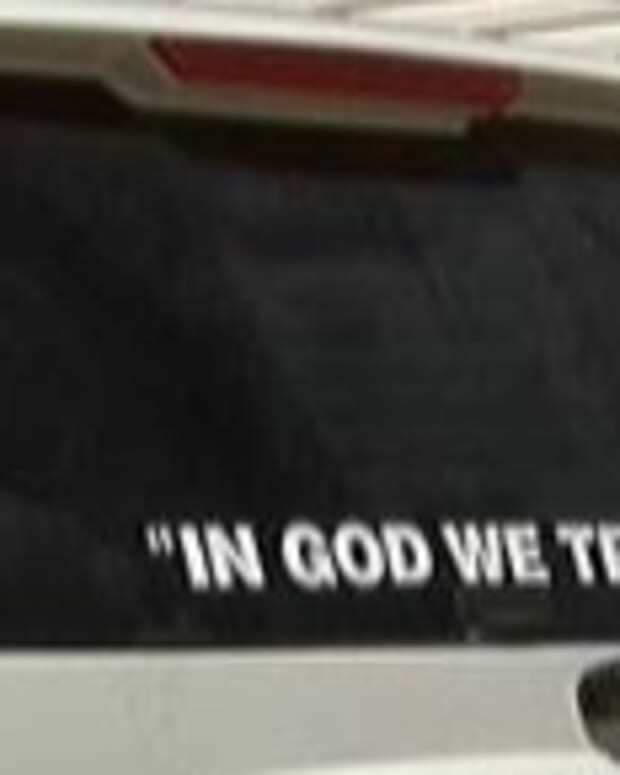 Many police departments have taken Paxton’s declaration as a cue to slap “In God We Trust” decals on law enforcement vehicles. 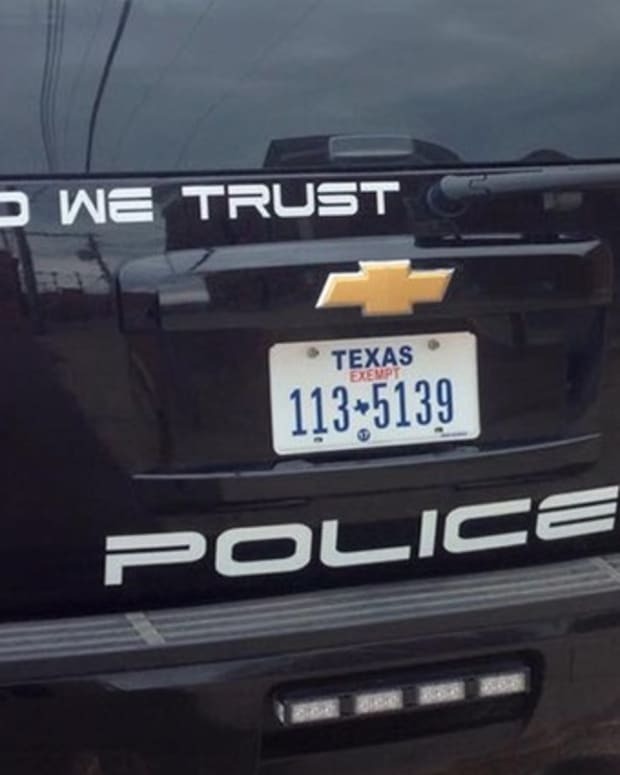 “The [Texas attorney general] rules that the motto of our nation is ‘In God We Trust,’ so how could it be wrong?” Texas&apos; Cleveland Independent School District Police Chief Rex Evans explained to Fox News after his department adopted the decals. The Freedom From Religion Foundation, a nonprofit organization dedicated to maintaining the separation of church and state, has sent letters to police departments in several states criticizing their use of the phrase on government property, according to StarTribune.